Weekly lessons are 60 minutes. Each lesson skaters will work in their level with a group and a coach for 30 minutes and have 30 minutes of practice time. During practice time, skaters will have the opportunity to practice the skills learned during the instructor led portion of the curriculum. 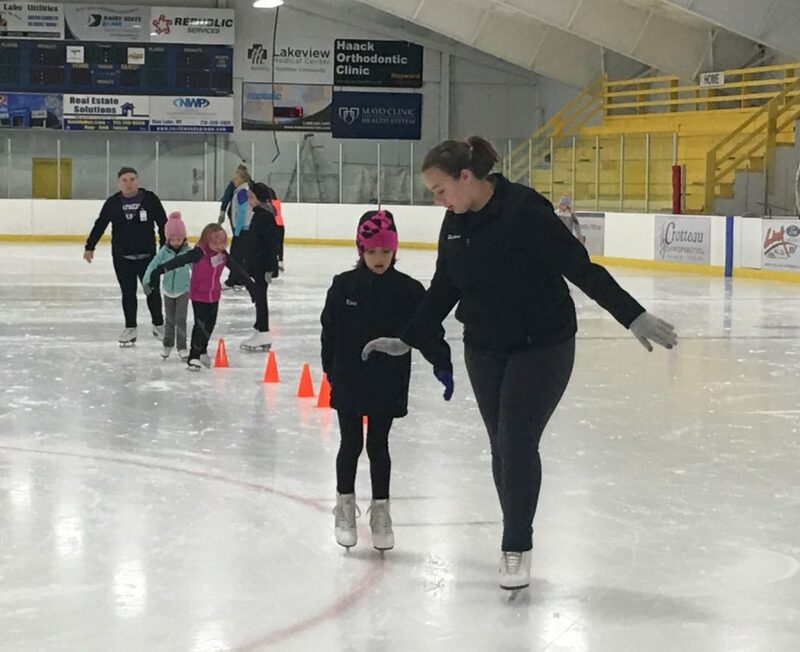 The Learn to Skate program is designed to teach the basic fundamentals of skating to students of all levels. The progressive levels enable each skater to develop more difficult skills while improving their physical fitness. 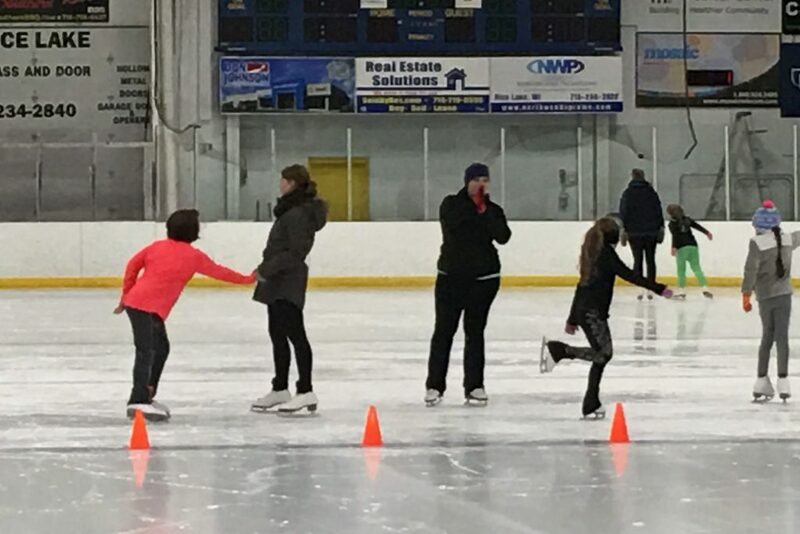 If you are interested in private lessons for your skater, please see the Coaches link for availability. Not all coaches offer private lessons. Private lessons are a separate cost from the session cost. Families will get billed from the coach per their hourly rate. If a private lesson is not during the skater’s regular practice lesson time, a punch card must be purchased from the rink coordinator. A punch card has 30 minute increments and can be used during the Free Style ice time, if the rink offers the time. If you have questions, please contact the Skating Director, Laurie Rubesch.